The PlayStation 4 ensures that even the very best games and the most immersive experiences are offered on this ingenious platform. 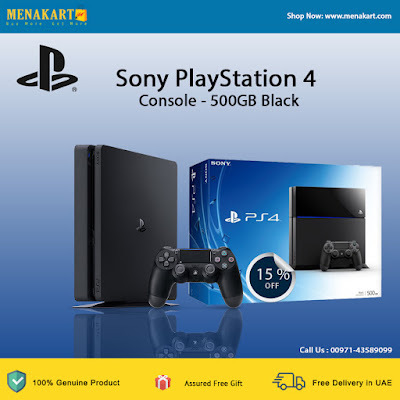 The PS4 system allows the greatest game developers in the gaming world to unleash their creativity and push the boundaries of game design through a system that has been specifically tuned to their needs. The PS4 system has been built around a powerful custom chip that has eight x86-64 cores and the 1.84 TFLOPS graphics processor with 8 GB of ultra-fast GDDR5 unified system memory. These heavy duty features ease game creation and enhance the richness of all supported content. What you get is rich, high-fidelity graphics and and immersive home entertainment experiences. The PS4’s DUALSHOCK 4 controller delivers new innovations for more immersive gaming. These include a highly sensitive six-axis sensor along with a touch pad that is located on the top of the controller. What the user is offered are completely new ways to play games and interact with AI. The controller also has the new SHARE button that lets users engage in video streaming and sharing. You can now engage in endless challenges and quests with your community and even share your epic achievements with just a press of a button. All you need to do is simply hit the SHARE button on the controller, look through the last few minutes of gameplay, tag the same and return to the game. Your video will be uploaded as you play! The PS4 further enhances your social reach by letting you broadcast your gameplay in real-time.